Planning a party is not an easy task. From brainstorming the theme, location, food, the number of guests, expenses and other stuff that will make it a memorable one takes a lot of experience and effort. Have you tried planning a party, event, or even a small gathering? It creates jitters, right? 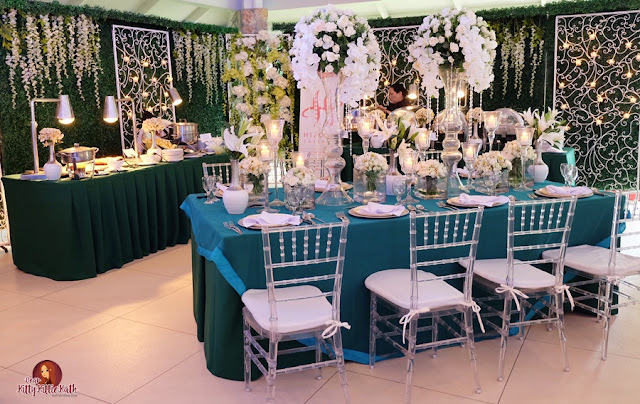 Did you know that you can make your dream event a superb one without the hassles and stress with the help of Hizon's Catering? Let Hizon's Catering take care of your party. Since 1989, Hizon’s Catering has been busy behind the scenes of different occasions, holiday parties, and product launches. Name it and they’ve done it. They’ve provided food, service, and amenities from casual and simple to fancy and formal one. 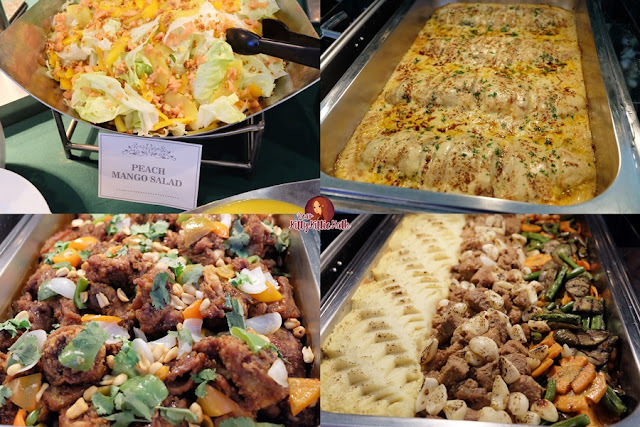 So what's new with Hizon's Catering? I'll muse more after the jump! Takes care of everything- the amenities which include the décor, the hotel, the bridal car, the entertainment, the sound system, the cake. They assign an event planner to every client to coordinate all the detail. As for the price, they don’t mark up on it, it’s like an added service. They are known for giving good value because their packages start at 450. Good food? They’re famous for that! Instant food and flavorings are a no-no in their kitchen. Yay! Hizon’s Catering can accommodate anywhere between 50 and 15,000 guests. They've reached as far as Subic, Batangas, and Rizal. If there's a wedding, prolly it's Hizon's Catering but now they also want to let all of you know that they also cater to other occasions like corporate event and seminar, children's party, and gala or awards night. 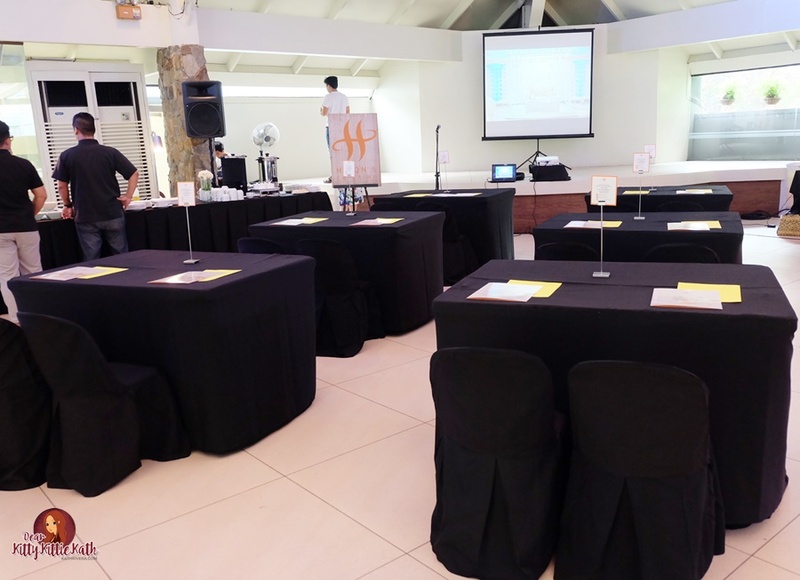 The event was held at Oasis Manila Pavillion last July where bloggers and media guests got a sneak peek of what they can do. 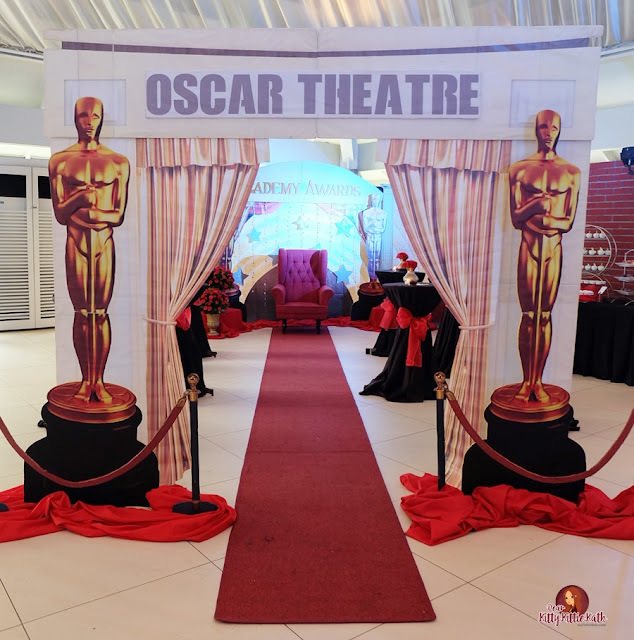 There were 4 setups in the venue- wedding, corporate event, children's party, and awards night. The first event that captured my heart was the wedding event, the Hizon's Catering way! Lovely table set-up with flowers that melted my heart. I have a thing for flowers and floral arrangements. I really, really like how elegant the set-up was. The food was great! All of my favorites were in the buffet. The truffle mushroom soup was so good! This buffet includes Peach Mango Salad with Candied Walnut and Smoked Salmon- another fave because I simply love salad and greens. Baked Fish Stuffed with Spinach is perfect for seafood lovers. Get your protein fix in their Beef Salficao with Grilled Vegetables and Mashed Potato, the Chicken Sambal for Asian chicken cravings. The main course will not be complete without carving station. Let the photos do the talking! The circus themed children’s party brought back a lot of memories. 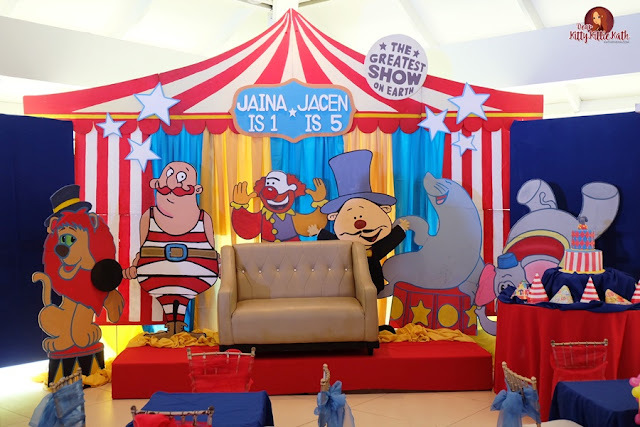 We had fun taking photos wearing balloon hat and the food in the buffet was a more sophisticated version of the kiddie meals we grew up with. We enjoyed taking photos of the buffet set-up. The Ferris wheel-like fries holder added a lot of fun too. 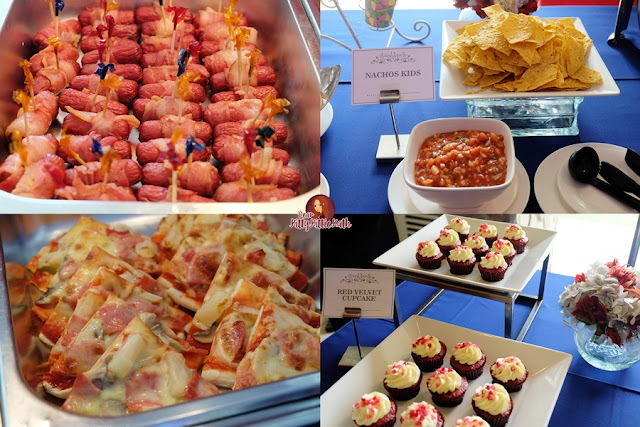 Kids and kids-at-heart feasted over bacon-wrapped hot dog with sweet barbeque sauce, fries with thousand island dressing, mini pizzas, nachos, red velvet cupcakes, and colorful drinks. The glamorous corner was meant to be an awards night. Complete with a red carpet as we smiled for the paparazzis, and enjoyed the cocktails being passed around before heading to the dessert bar. The dessert bar was the bomb! The sweet tooth in me rejoices. Ah, the spread of desserts were so tempting. 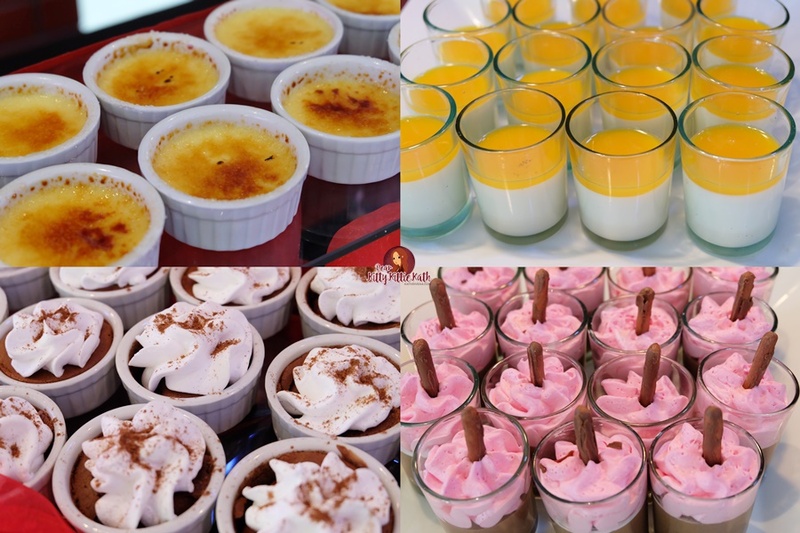 I have to taste at least three of them and yes, the vanilla creme brulee and sunken island become an instant fave. There were other desserts like peach egg tart, flourless chocolate cake, and mango vanilla panna cotta. The last section was assigned to the corporate seminar. It was supposed to be a morning affair so the set up had an omelette cooking station with free flowing coffee and tea. Bread on the side for bread lovers, don't worry! I personally enjoyed all the event stations because-food :) I'm convinced that it's more convenient to be the guest than the party organizer but if it calls for a celebration at home, whether simple or a grand one, Hizon's Catering is just a phone call away. They will make that dream event happen, promise. Hizon's is the caterer accredited by the most number of venues in Metro Manila. All the dishes were whipped up by the kitchen team headed by chef Simon Dayrit, event styling was by Drew Menor. The event planning group is led by Cheska Pineda. The event was made possible with the support of Oasis Manila, Advent Light & Sounds, Sentimental Groove Band, Bars Datiles Design Props, Star Balloon, Enzuno Cakes, The Photoman, Keon Salon, Jerome Yu LED Projector, and Myra Lorenzo who emceed the program.